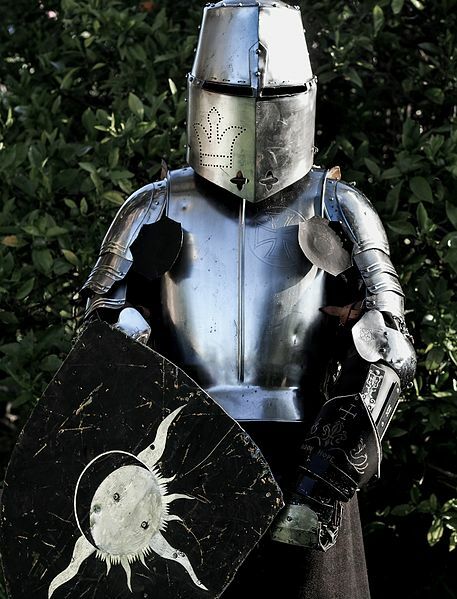 In fact, the use was so widespread that even foot soldiers in certain armies wore armor, although the quality and sturdiness of their armor was far worse than the knights’ armor. This is a bit surprising, but very true. 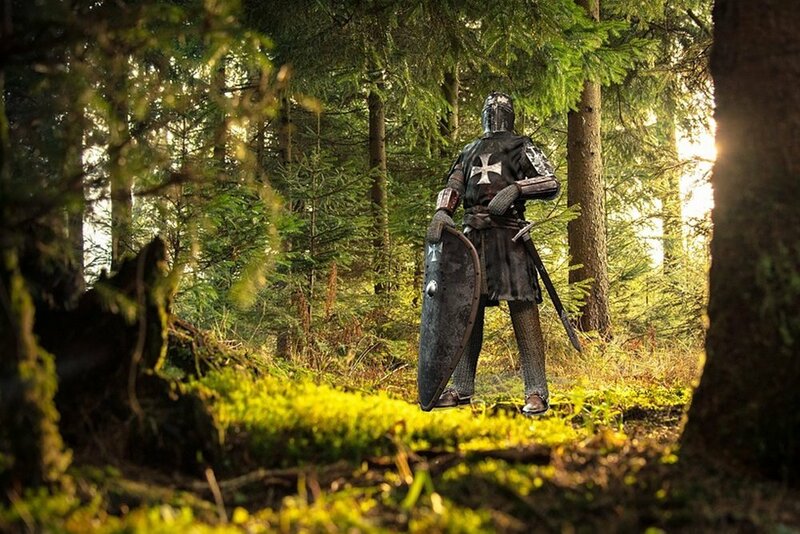 Many times, an opponent wouldn’t actually kill a knight or a noble wearing particularly formidable armor. The reason? It was assumed that a warrior wearing such strapping armor must be quite rich. So, rather than killing such a ‘valuable’ warrior, it was common practice to capture them instead, then ask their relatives back home for a ransom. As such, warriors with strong, expensive full-body armor were often NOT killed in the first place. Iron Man and all his armored adversaries can attest to this fact in the modern world, and it was true for medieval battles too. While armor does go a long way towards shielding you from regular swords and wounds caused by ‘loose’ arrows in the battlefield, it doesn’t make you invincible… not by a long shot! 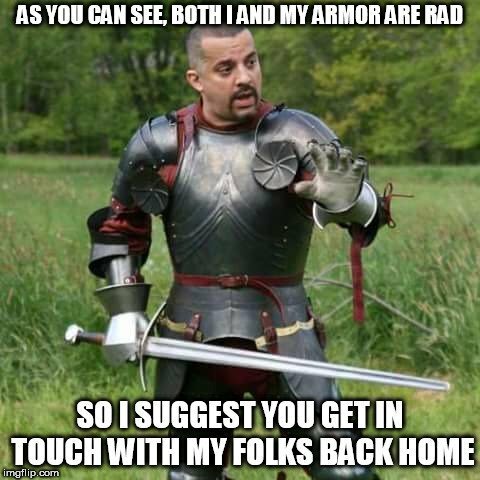 First off, regular armor doesn’t cover the entire body of the wearer. As a result, there were many exposed body parts where an opponent could strike. In fact, a good shot by a skilled archer could even pierce weaker armor at close range. Even expensive, specially-designed full-body armor had chinks and weak points at various places (especially joints). Sharp weapons, like stilettos and misericordes could penetrate them, or at least cause reasonable damage, which would make the armor weaker against subsequent strikes. In fact, there were weapons (like a stiletto) that were especially designed to be used against strong armor, as they had a very fine, pointed tip that could pierce mail armor or even plate armor. 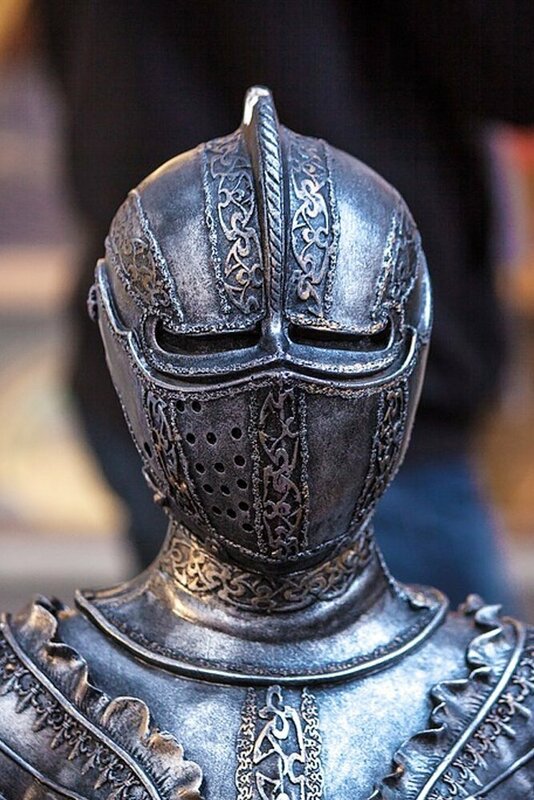 Apart from that, a suit of armor always had openings and joints, like the visor, near the armpits and even the groin, where an opponent could thrust a pointy object and bring down the armor-wearer. While full plate armor could prevent a glancing blow by a sword from harming the wearer, it doesn’t do much against concussive damage. A few swinging blows from a mace or hammer might not cut the body, but they could definitely deck the armor-wearer, as the bludgeoning could easily bruise the body parts beneath the armor. Once an armor-wearer is knocked to the ground, the opponent gains an upper hand, so dealing with the armor suddenly becomes much easier. In a nutshell, full-plate or mail armor undoubtedly loads the dice in favor of the wearer, but it certainly doesn’t make them invincible against a formidable foe on the battlefield.